Nepal is one of the most beautiful dreamlands in Asia. Nepal is Land locked and with an area of only 800 km long and 200 km wide, the terrain changes from its highest altitude of 8848 meters and glaciers along the Tibetan border to the flat jungles of Terai, barely 150 meters above sea level in it. s 200 km longitude and located between China and India. Nepal is the terms of natural bio-diversity and ecology, one of the richest country in the world due to its unique geographical position and latitudinal variation. This wild variation fosters an incredible variety of ecosystems, the greatest mountain range on earth, thick tropical jungles teeming with a wealth of wildlife, thundering rivers, forested hills and frozen valleys. 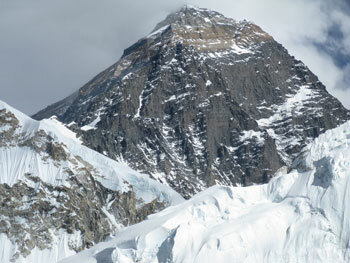 The Nepal Himalaya has always been known as "the abode of the Gods". Many of the primordial history, religion, culture and tradition as well as legends and myths emanate from the awesome Himalaya. The Nepal Himalaya harbors many holy Temple and Shrines, Monasteries and sacred lakes in the wilderness and remote parts of the region. The Himalayan country Nepal offers an astounding diversion where else on earth, a variety of ethnic groups and sub-groups who speak over 70 languages and dialects, numerous annual festivals that are celebrated throughout the year in traditional style highlighting enduring customs and beliefs, land of incredible contrasts. Kathmandu, the capital with its rich cultural heritage, exquisite temples and Pagodas dedicated to the Hindu Gods & Goddess, Buddhist Chaityas and old palaces with carved windows and doors are a sculptor’s dream and an architect’s delight. Nepal is a nation of unaffected villages and terraced hillsides - more than eighty percent of the population lives off the land - and whether you're trekking, biking or bouncing around in packed buses, sampling this simple lifestyle is perhaps the greatest pleasure of all. In this immensely diverse and undulating topography, varied climate and mix of people Nepal combines to produce a magical attraction for outsiders. Many foreign visitors come to trek one or more beautiful trekking regions such as Annapurna trekking, Everest trekking, Langtang trekking and other more treks areas. Nepal is probably the most famous destination in the world for a growing range of outdoor activities such as Nepal Himalaya trekking, Mountaineering, Rafting, jungle safari, adventure package tours which all arrange by professional tour operator Apex Nepal Adventure Treks and expedition with astounding life time experience. Apex Nepal Adventure Treks and expedition has prepared a set of information and itineraries for our valued clients who would like to enjoy the adventure of a lifetime and after this is over they would definitely carry a sweet memory of a lifetime back home. Himalayan country Nepal provides an opportunity to step back in time and meet people who like our ancestors many centuries ago lived free of complications, social economic and political which overwhelmed the developed world.